TheRustedChain - The Blog: Happy Monday! Just a happy happy happy Monday to you. That made me surely laugh ~ thank you:) and happy monday to you! Taking the Grandchildren to Exploration Place this week. They have a Mr. Potato Head exhibit the girls will love. And of course, they always love the castle! PS. thanks, Beki for the information on the spammers. That was sure wierd that one day. 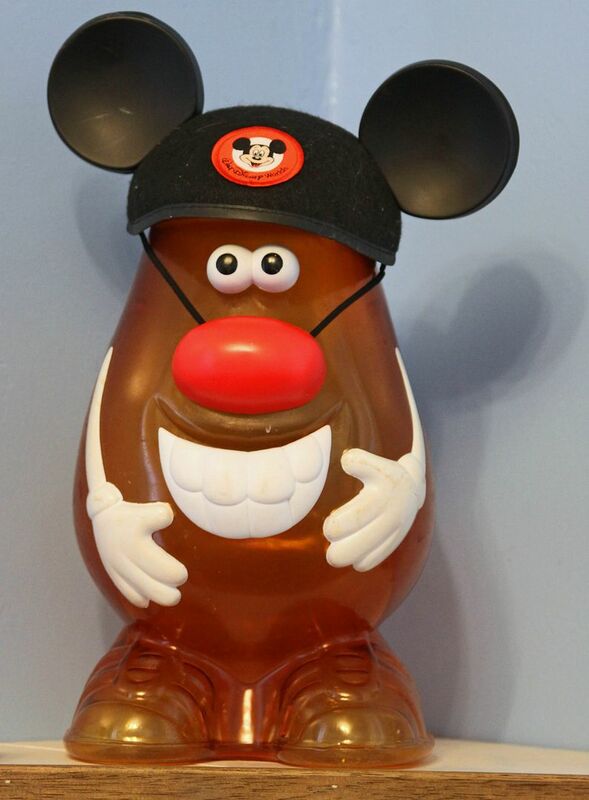 love me some mr potato head and i love me some disney even more!!! I Love Mr. Potato Head... Many Many hours of childhood fun! Happy Monday to you too! Mine was extra happy because I got a little WhiMSy love in my mailbox! happy monday right back atcha! Very cute. I was wondering if you used to sell hairbows on ebay? happy monday to you too and thanks for stopping by...love your blog! Thanks-- after such a rotten day-I needed the laugh. As I was laughing Ken and his brother had to see what I was laughing at --so I had to show them AND they laughed too! Where did you get him? I love MR. Potato Head. Truly funny. Did you find it like that? :) Thanks for the smile. I missed Monday at some point during my illness, but hey Mr. TaterHead is welcoming me back here. LOL!